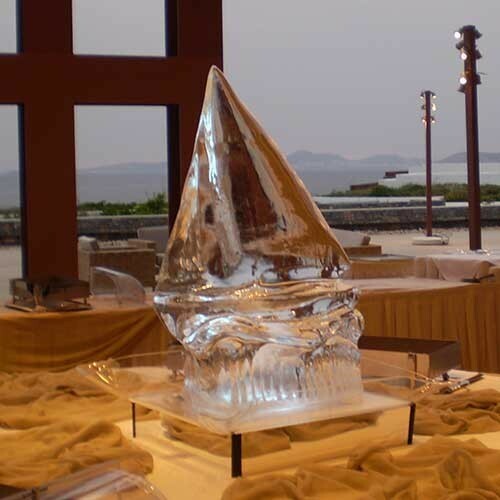 Want an ice sculpture at your event that says bold, powerful and dynamic then this is for you. The yacht is an impressive piece and looks lovely as a piece of stand alone art or in the centre of a table. We can add your company logo to the sculpture and also colour the ice to match your company colour.